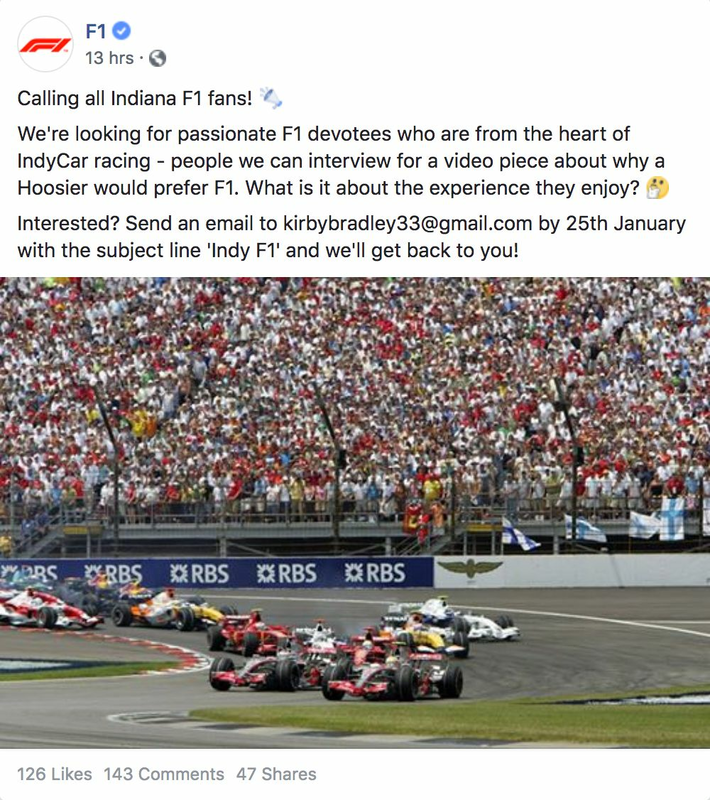 The official F1 Facebook page has put out a post asking fans if they’d like to be interviewed about why they prefer Formula 1 to IndyCar. That’s a little bit strange - they’re two different sports, you’re allowed to like both and you’re allowed to have preferences, but they’re very different. Why does it matter if people like one sport more than another? What’s really bizarre, however, is that it’s specifically asking F1 fans from Indiana - you know, the home of IndyCar biggest and most famous race, the Indy 500 - why they like F1 more than IndyCar. That just seems… weird. It’d be like if IndyCar asked fans in Monaco why they prefer IndyCar to F1, or if the WEC went to the Isle of Man to ask why fans would rather watch Le Mans than the TT. 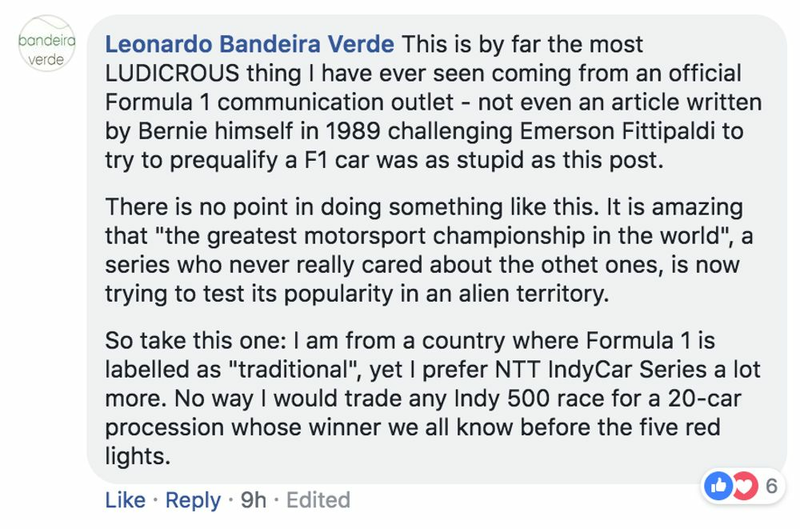 Remember, all these comments questioning the purpose of the post and being pro-IndyCar are on the official F1 page. You actually have to scroll down quite a way to find anyone with anything positive to say. If anything, it’s kind of amazing that the post is still up. It’s not just limited to Facebook, either - IndyCar driver Graham Rahal brought it up on Twitter and elicited a similar response. While I do enjoy the oval races, I have to agree with this. IndyCar is great, F1 is great, they're both great in different ways and they both have different problems. It's not really worth all the bickering over which is better than which, because they're just different. That must be a joke. Would anyone in Indiana "home of the Indy 500" like f1 who once gave them a 6 car race? F1 chased away their Midwest fans with the tire incident. Good luck getting them back. 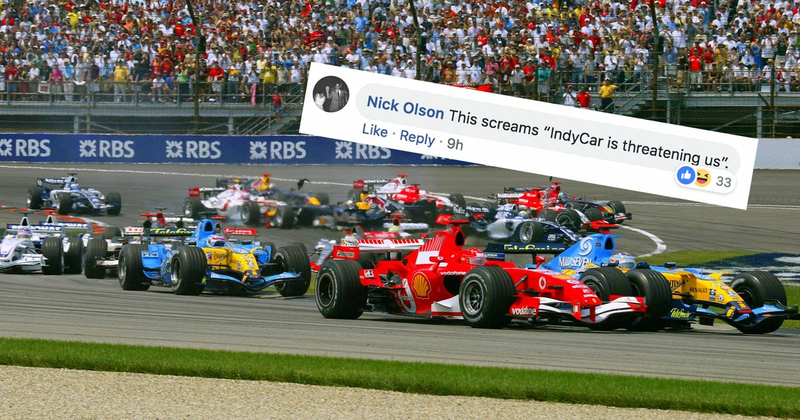 Ahh yes, the six-car race that was the 2005 US GP at IMS. It’s clearly still had a negative impact on some fans all these years later - and why wouldn’t it be? One of the biggest farces in F1 history happening on the same track that sees 33 cars fight it out for the win in one of the greatest spectacles in motorsport? Yeah, we can see how that would turn fans off. So, what of this F1 post? Is it simply a misguided attempt to try and promote the sport, or is it the beginning of something else? F1 has made no secret of its desire for a second grand prix in the United States - Miami no longer appears to be an option and getting any other street race up and running will likely take some time. 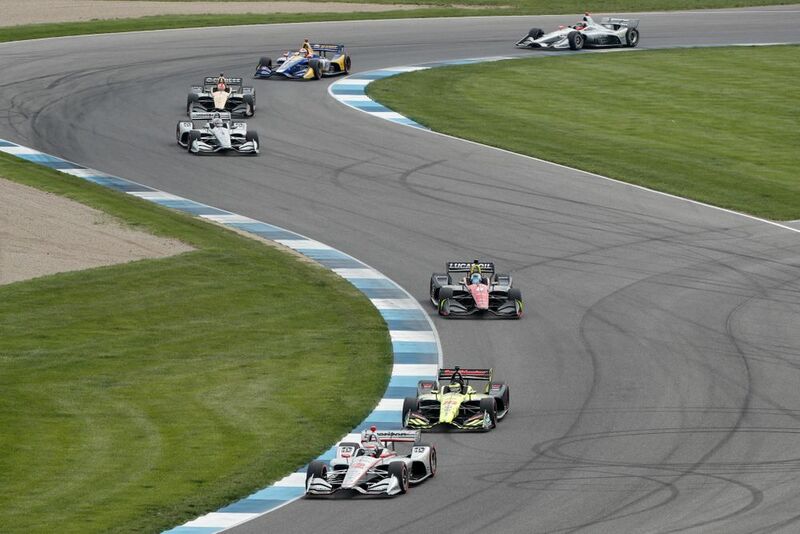 Could this be part of the early stages of F1 seeing if a return to Indianapolis would be viable?